Since we were the first to manufacture and sell C60 in olive oil, many scammers have jumped on the bandwagon, promoting adulterated or unproven products with lies and promises of miracles. We recently experienced a surge in orders from people who were told by Clif High to buy from one of our unethical competitors, someone who does not even use Extra Virgin Olive Oil but Avocado oil or coconut oil, oils completely unproven in clinical research. Livelongerlabs has a very long page full of fake reviews. How do we know that the reviews are fake? We've been selling this product for over five years, and we are by far the largest manufacturer and vendor, still selling at the time of this writing, when all competitors have sold out due to Clif's hype. Firstly, this product does not make you notice anything, so all genuine positive reviews are due to the Placebo effect, and publishing those few genuine ones, even when true to the one making the claim, is therefore unethical. Secondly, such positive reviews are rare - we've received very few reviews where people claimed that the product performed the medical miracles one finds by the dozens on LiveLongerLab's scammy site. And certainly, those people would not want us to publish their full name. 1. The rats were not "all euthanised", except for one, because it lived for nearly six years and the scientists wanted to round off the study so they could publish the article. There is a rumor they killed TWO final surviving rats. 2. Extra virgin olive oil was used because it is a good solvent for C60, not because rats like to eat it. 3. The other rats were not "fed on corn", in fact all rats received the same standardized lab rat food and the C60-EVOO rats were injected peritoneally with the C60-EVOO solution. (So, NOT into their bloodstream but absorbed from their stomach cavity into their systems like if they were eating it). 4. No radiation experiments were done with those C60-EVOO (extra virgin olive oil) rats. Rat experiments were however done with different groups of rats and C60-EVOO fully protected them against lethal levels of hepatotoxic chemicals. The claim that it protects against radiation is a tactic to sell to people who fear Fukushima radiation. 5. The rats lived very significantly longer than merely one third. They lived to 95% extra of their natural lifespans - nealy a DOUBLING of their lifespan. 6. It's not accurate to say that C60 "pulls toxins". C60 does no such thing. C60 is a truly universal antioxidant, being able to accept as well as donate multiple electrons indefinitely without degrading itself. So it nearly completely protects against free radicals of all types by electrically neutralizing the free radical molecules - forever. The biological half-time of C60-EVOO is extremely long (months) so as with the rats, it's not necessary to take it all the time. 7. There is absolutely NO "detox". In fact, one will notice no "detox effects" whatsoever, since all C60 does is completely stop free radical damage, and that can not be "felt". Neither can the non-occuring of tumor formation be felt. Or the protection of the liver against hepatotoxic chemicals. 8. It IS a good idea to start taking the product when you're young, because young people are just as exposed to free radicals as older people. 9. It is a very bad idea to use any other oil than olive oil! We will only switch to a different type of oil when scientific research shows that this oil confers at least the same antiaging and anticancer benefits to lab rats as C60-EVOO does. The reason unethical competitors disparage the original, honest products is because they need a "unique and better" product, and the perfect scam is to claim that the original product is "bad" and theirs is "improved". 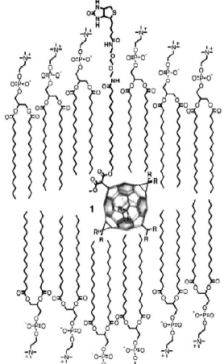 The chemical properties of the lipid chains are important, because it is those chains that bring the anti-free-radical Buckyball molecules into the lipid bilayers of the cells and keep them there. Since it is unknown what exact lipid molecules are optimal for that, it is a very bad idea to change them to those with unknown properties. Real EVOO contains a plethora of unique lipids. Swapping them for something that has less taste does not make scientific sense. It's irrelevant that other oils have better C60-solubility - what counts is published papers that show efficacy at life extension in mammals. As a long-term follower of Clif High, I believe him to be highly ethical and well-intentioned. He is also a practicing yogi which has a very solid ethical foundations. I believe his support for any specific product and inaccuracies in his reporting come from enthusiasm and desire to help others. It was Clif High's comments on C60 that brought me to Vaughter Wellness products. It is better that we all work together to enhance the total market than become defensive and critical of others without understanding their motives. People who deliberately tell a great number of lies can't possibly be ethical, since habitual lying is the very definition of not being ethical. 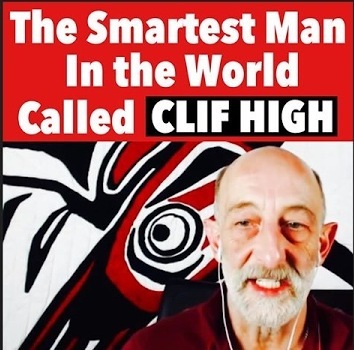 Clif High tells lies instead of being merely ignorant, since he's a software developer of advanced software, thus he has a high intelligence and reading comprehension, is able to rapidly absorb complex knowledge etc. So we have a very intelligent man, telling a very large number of lies about a C60 product, with a clear aim to sell that product, since many of the lies are "positive" about the product. So his lies contribute to the profit of the vendor (and likely himself, as an affiliate) and to the detriment of the buyer. That is unethical. What your personal beliefs are about a person are irrelevant. The only thing that counts is openly available, verifiable evidence. I analysed his statements on C60-oil products and conclude that he engages in deliberate disinformation to sell a likely inferior product (because not clinically proven - only EVOO-C60 has scientific evidence supporting it). I hope you understand that your personal beliefs are irrelevant. Before WW2, I would be able to say: "I believe Hitler is highly ethical, because he's a vegetarian, absolutely ADORES his German Shepard and is great with little children and moreover, he's deeply into eastern philosophy and ancient Indian symbols". It simply is a biased, ignorant opinion that does not jive with the observable evidence. The fact that Mr. High indeed caused us great profits due to the unintended side effect of his intended profiteer selling out prematurely, is not a reason for us to be grateful to him. We didn't hire him to propagandise our product - on the contrary, he dismissed our product in favor of unproven products and said people should not buy our product - presumably because we don't pay commission to Mr. High. We used the profits to partially pay for a MXD Vibrachem Audir mixer (32,000 USD inc. shipping), so all of these profits go back into a better product for our customers. We dislike people who lie for financial gain, regardless whether we benefited as a side effect. As to your suggestion that we should remain silent when the C60 product is hyped up with deliberate lies because all C60 vendors would stand to gain if we just "divide up the market", as I said before, we're rather exceptional in the sense that we prefer honesty over profit, which may be, I suspect, because our founders are on the Autistic spectrum (Asperger's). We also mention, for example, that our dermaneedling products are ILLEGAL, worldwide. Would any ordinary seller ever be so crazy as to be so honest? Only people who put honesty above money are like that. We are the ONLY sellers that behave like that in our niche - most likely because all our employees and ourselves are autistic. At least that's my explanation. We have employees that would rather lose their jobs than to go against their own principles. Your claim that I am too stupid to understand "Clif High" (fake name!) 's motives is disproven by my own article above as well as my elaboration in this comment. He's very intelligent, yet he spreads a VERY large number of very obvious, easily debunkable untruths, with the only result being ENORMOUS sales of the product under false pretenses, so much that AFTER his intended profiteer sold out, that we still sold 2000 extra bottles. We're talking very big business, when Mr. "High" hypes up a product, and Mr. "High" assumedly has made so much money, pushing products for commission that, if he thinks we're unfairly defaming him, he can easily afford a libel attorney. C60-extra virgin olive oil is proven to do incredibly exciting things to the health and longevity of rats - ALL his claims about C60 dissolved in different oils are lies, neither have these products ever proven to do anything beneficial to rats so it's highly irresponsible to endorse those products over the many available REAL C60-EVOO products. We have many competitors in the C60-EVOO space. Buy from us or buy from them - don't buy something peddled by an obvious scammer, something that has no scientific evidence to back it up. The lipids attached to the C60 molecules are crucial in their antioxidative effect since it's the lipid chains that hold them inside the cellular lipid bilayers and mitochondrial membranes. Coconut/Avocado oil are very different oils. Very well said Sarah. A perfectly inarguable counter. I in fact saw the Clif High promo ignored his coconut oil version "because he likes the taste" oh dear, so searched and immediately found you. Not everyone is American. Thanks Sarah, and thank you for writing re autistic people involved in your work. In my opinion the activities of other companies does not matter, all that matters is that the search engines show your site. I liked it immediatey. Clif is a fraud and charlatan in the fortune teller tradition. Sadly, the scammers peddling super-expensive C60-EVOO will give the product a bad reputation, with their wild claims of unsubstantiated health benefits by fake "customers". It does NOT improve or cure any kind of ailment! 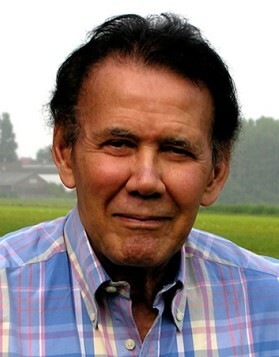 I think that making a person live longer in good health is more than enough, but the "make money online" gangsters always hype-up their wares because they want the most profit in the shortest time, and when their claims prove to be a pack of lies and the product is utterly discredited, they move on to push something else. I was also led to Vaughter Wellness after watching Clif High on YouTube. I think it is important for the consumer to use a critical eye in these matters. Right now I am very excited about C60, and about the philosophy of Vaughter Wellness as articulated by Sarah Vaughter. Thanks for making C60 available at such a reasonable price! I heard about C60 through Cliff High's peers in the UFO community. People I respect were going on and on about a miraculous and extremely fast-acting cure-all that Cliff High was giving away to high-profile alternative researchers. It sounded good - too good. I finally watched one of his videos and could not finish it because he did not seem genuine at all. He was putting down another (much younger) researcher - basically talking a lot without saying anything of substance. This is a technique to fool people. I am surprised more people do not see through "Mr. High's" bs! He also is an advocate of crypto currency - the latest greatest pyramid scheme/money laundering system! I would say "Wake up, people," but his followers already consider themselves awake and cannot hear it. Sigh. I look forward to trying YOUR product! As long as people have money to spare for things like this product, it can't hurt. But very ill people who desperately spend their last money in the hope it will help them - they should be discouraged because it's not going to be of benefit. the days of MMS. I hope, that is not problematic. About very ill people is my advice, that they should change their life: no stress, healthy eating, walking every day. But when the cancer occurs, they should do what the doctors say and at once change their life. I had cancer (lymphom) nine years ago and I am healed. You are right about clif high. He puts on a decent act of being a harmless weirdo hippy, but he is ruthless and nasty when challenged. His followers act like cult members doing the dirty work for dear leader, attacking you if you challenge him. Hello Sarah, I am just responding to let you know that there have recently been a plethora of studies on the benefit of C60. One main benefit is in the area of arthritis, particularly rheumatoid arthritis. Another study showed that c60 was able to slow down AIDS. Here is a compilation of all freely available peer reviewed studies from medical journals from the US National Library of medicine. The scope of the studies are quiet wide and very astonishing. I am an unbiased, reasonable person who is married to a wonderful man who is desperately trying to find a cure to my lupus / sjogren's syndrome (Which also affects my nerves and memory). After 7 long years of going to doctors and clinics who have gone from one extreme ( 22 months of benlysta infusions, for instance) to just putting a band aid on my pain with narcotics and neurontin, he has decided to find a cure for me on his own and has come up with this C60. He also is putting our dogs on it, one of whom has epilepsy and is on phenobarbital and I have no idea if there will be adverse reactions, but he is now furious with me for questioning this product and has already started our 3 on it today. I have decided, due to my cns and pns issues, and the fact that I am on more than a few medications, that I am too afraid to try it, since I have seen it stated more than once to NOT go on it if you already have a disease. I'm not afraid about my life, but rather getting side effects like my tinnitus turning up higher, which a lot of drugs and supplements cause it to do. I wish my husband would just take it and not bring me and my dogs into this, but he thinks he is going to cure us all. My dogs are older too. In any case, could I please get some feedback or thoughts on if it would be safe to put a dog who is on phenobarbital already, on this c60? Also, what about someone who is already ill? I AM interested in the skin aspects as my sjogrens vasculitis is incredibly unattractive and getting worse by the day it seems. Could I just rub it on my skin? The product is completely safe to use under any and all conditions, except for people who can not eat olive oil for some reason. It will most certainly NOT cure any illness or affliction or condition. 1. They claim C60 passes the blood-brain-barrier. False: In order for a molecule to be able to pass the blood-brain barrier, it has to be <= 500 Daltons and C60 is 720 Daltons (Nucleons, C's atomic nr. being 6, so 60 x (2 x 6). 2 to also count the neutrons. In reality, the C60 is bound to at least one large lipid chain, so it's even very much more than 720 Daltons! 2. They claim C60 is "made from hardwood". LOL!! Please ask ANY manufacturer of C60 how they make it. It's a VERY complex procedure, involving ultra-pure Carbon rods, used as electrodes in a plasma arc, using high voltages and currents, in a vacuum chamber, where Fullerenes get sublimated and then dissolved in a toxic solvent. Then, using liquid chromatography columns, the C60 faction is extremely expensively separated and the the solvent is evaporated in a vacuum oven under very high temperature for a very long time. But that SCARES the typical Cliff High disciple, so they just lie and pretend it's a "natural" product. ALL OTHER CLAIMS ARE LIES as well. I found zero truthful statements about C50 on their website. Absolutely none. It's all lies to make sales. It's astonishing in its deceptiveness. These people are criminals, because they sell an extremely over-priced product under completely fraudulent pretenses. The blood-brain barrier (BBB) is a physical barrier composed of endothelial tight junctions that restrict the paracellular permeability. A major challenge facing neuropharmacology is to find compounds that can be delivered into the brain through the bloodstream. Fullerene C(60) was demonstratively able to cross the BBB by hybridizing a biologically active moiety dyad, which provides a promising clue as a pharmacological therapy of neural disorders. We're selling Lipofullerene C60, not C60 in water or C60 as a powder, because those are toxic and can't even be made significantly bioavailabe. Neither is there any efficacy in increasing lifespan demonstrated for plain C60. C60-EVOO is a very large molecule, much larger than the 500 Daltons or less, required to pass the bbb. So your premise is incorrect. You're confusing the product everyone is selling, the product that doubles rat lifespan, with a poisonous substance that has little to do with it, especially biochemically, due to the extremely different molecular nature of the substance. It's like saying: "Chlorine is a toxic gas, so salt is highly toxic, just like Chlorine". Nope: NaCl is something very different to Cl. 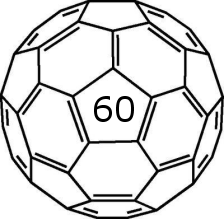 Lipofullerene C60 is something very different to C60. The day we start selling pure C60, not bound to lipids, is the day the authorities should come and arrest us for poisoning our customers. The mistake of confusing the C60 mentioned in the scientific literature for the substance that doubled rat lifespan and is now sold widely is common. NONE of the scientific literature mentioning C60 has ANYTHING to do with what we sell. Absolutely NONE. I heard of C60 from Cliff High and am glad I found your wesite before the one he endorses. Looking forward to trying the product. If it works for me, I will be recommending it to my family and friends. I have ordered and am awaiting delivery of C60 from Pure Bella Vita in olive oil. Is anyone able to supply any information about Pure Bella Vita? After reviewing the comments here I am a bit concerned about this company and would like to hear more from anyone in the know. They're scammers, liars and criminals. We've been the world's largest seller for the past eight years and they are total newcomers. They have ten times more "testimonials" on their site than we ever received since 2012, when we started to sell this product. So that's to me a very clear sign that those testimonials are fake, and in this case that is a very grave matter, because they purport to make claims of (partially) curing an long list of all kinds of common health issues, some serious, some not so serious. Based on our extensive experience as the first and largest manufacturer/vendor of the product, produced at great expense exactly as in the original study and selling over 100,000 bottles in eight years, it is impossible that they've received even a fraction of that feedback. The damage done by these "make money online" marketeers is great, since their cheapest bottle costs $50 (ours, with the same amount of C60 costs $15). This shows that they are "going big", classic get "rich quick before they shut us down" style. Before the FDA shuts down the entire business of C60-EVOO. That would mean an enormous blow to the availability of the only PROVEN-IN-MAMMALS (prescription-free!) anti-aging supplement, but by that time they're be enjoying their millions in some country that does not extradite to the US. On top of that, they clearly do not care about the efficacy of their product at all, otherwise they would not offer coconut oil and Avocado oil as alternative solvents for the C60, since no scientific evidence exists that binding those particular, SIGNIFICANTLY DIFFERENT TO EXTRA VIRGIN OLIVE OIL lipid chains to the C60 molecule and bringing them into the cell walls will yield any benefit. So they sell overpriced, adulterated products based fake testimonials, claiming it alleviates and cures a wide variety of illnesses. That is a prisonable offense. She clearly is what we call a "straw man". Her email is listed as asarlotti@yahoo.com and on her Facebook I see that her husband certainly looks the opposite of someone running a lab, churning out a sophisticated product at volume. In other words: Those "testimonials" have been supplied by whomever they BUY their product from, or they made it all up. And who their supplier is: They claim to be a supplier of LiveLongerLabs and sure, they may have a deal but who knows what they sell. For that price, it better may REALLY cure all those diseases their "testimonials" claim it does! When going to her FAQ page on her Shopify page, she says: "There is 46 ml of c60 per 60 ml of the base oil in each 2 oz bottle." That's nonsense. C60 is a solid, not a liquid and solids, dissolved in liquids are never specified in ml, but in mg. It's a sloppily thrown-together typical bandwagon-riding scam site by people with no redeeming qualities, as far as I can see. She and her husband are, from my research, superficial, vain sociopaths, interested in living the high life. It will be due to the greed of such folks that the product will soon be forced off the market by the authorities. I add that also their purported supplier have only been selling for a few months, and initially they published their stock levels and they sold very little, when we were selling loads. That means 99% of those testimonials are fake. Their supplier surely spent a helluvalot of time and effort creating that enormous list of fake testimonials (even thought there exist other "make money online" type of service providers one can farm that out to). I hope they put at least as much effort into the quality of their product as they spent on those fake testimonials. Hello Sarah, After careful review I find your comments to be highly credible,thank you for your time and effort it took to respond in a thought provoking scientific manner. It appears I was scammed by Pure Bella Villa for $200.USD plus International shipping/forwarding fees which is no small matter for me and certainly none of your concern. I have learned much from both your responses as well as Live Longer labs web site, I feel I am now on the right track thanks to you. Yes I have ordered 5 bottles from Pure Bella Villa which I am now not very comfortable ingesting once they arrive via international forwarding from my Florida USA shipper. I am a USA expat retiree living in Panama where there are no address for delivery subsequently all orders from outside Panama must be forwarded at significant expense. My question and concern is if I dig deep into my social security subsistence monthly budget and order 6 months (6 bottles) from Live Longer Labs will it be possible for me to request a guarantee Live Longer Labs and/or none or their subsidiaries will send advertisements (junk mail) to my Florida shipping/forwarding address? The reason I need to know this is every envelope including any piece of mail sent to my forwarding address in Florida gets forwarded to me at a cost of $6 minimum per envelope and more as the weight and size of the mail increases. I can not afford to have anything other than the products I order being sent to this international shipper/forwarder. To send it to my home state of Montana which is tax free but requires the package to be repackaged with accumulated mail etc (Mail Boxes Etc) then resent via Federal Express to Florida causes me excess charges that I have not budgeted for at this time. Kindly answer this understanding that I will be ordering from Live Longer Labs irregardless of your answer, although it may be sometime in the future if it has to be sent to Montana first as a semi annual shipment from them was just shipped last week and another is not budgeted for another 5 to 6 months. One last query if I may, since it is not economically feasible for me to return the Pure Bella Villa order from Panama do you think ingesting their formula would be harmful to me or could it be somewhat beneficial although inferior to Live Longer Labs? Of course I understand this would be an opinion from you nut for me that would be something I would feel comfortable with. I have registered with Live Longer labs and will act accordingly as budgetary constraints permit. I really can not answer your questions because I do not have the knowledge to do so. We normally do not ship to Panama but if you email me your address to sarah@owndoc.com we will send you six of our bottles, for free. Sarah, Opps, I just realized after all my reading and due diligence I had a brain fog episode here nearing 2am. I wrote "Live Longer Labs" as your company after reading so much about them NOT "Vaughter Wellnes" as I should have. Please with my sincere apologies correct my previous post by replacing Live longer labs with Vaughter Wellness where required. No need to post this apology but please change my prior post. And I approved (and added paragraph breaks) your #25 before I read your #27! Well, then all the more reason to give you 6 bottles. Email me please. If Pure Bella Vita is speaking the truth about Live Longer Labs being their supplier, seen the unsophistication of the folks behind purebellavita.com, it would appear that Livelongerlabs switched to the strategy of enlisting an army of affiliates and encouraged those to make false health claims, in order to rake in the money for themselves but remain out of harm's (prison) way because they can claim that it's not them making those claims, but their affiliates. I think that no US judge would fall for that argument though. I have been advancing your product line as well as your educative web site to some seniors here in Panama regarding your superior unadulterated C60. I will be posting my progress as I have very recently been diagnosed with eye cataracts which my left eye has been very much impacted by. I am forgoing any surgery in a real effort to give your C60 the chance to produce some sort of change over the coming 6 months. I will keep you posted via this board so that you have a real unbiased person giving some real life feedback. I have an eye chart and will be logging my weekly progress so there is no artificial reading (sugar pill) being reported, Currently my left eye is so blurry that I can not read the largest letter from 15 feet away, it is a complete blur. If C60 alleviates this condition to any degree I will be happy to report it. In addition to the C60 you are sending I will only add fish oil to help with the dry eyes I have also recently come up with at age 66 1/2 years of age. God Bless and Best of All to You and Your Staff! I am very sorry to say that I really do not think our product will help you at all with your eye. It is highly unlikely, I can't imagine a mechanism how that would work, unfortunately. But I wish you relief from the issue and hope there will be some kind of improvement. Well time will tell and that is what I have right now, some time. I appreciate your integrity in sharing that you do not feel C60 will help. I am giving my eyes 6 months to get better as I save for cataract corrective surgery. I am doing with fish oil for dryness and C60 as an experiment. What changes can an individual expect to see if any from taking C60? Will keep you informed if there is any change. 1. GREATLY slow down the effects of aging, likely due to a near-complete cessation of free radical damage (ROS species). 2. A VERY effective protection against certain hepatotoxic chemicals (that damage the liver). 3. A COMPLETE protection against the formation of tumors and thus against getting cancer. Note how none of this includes (and no such tests were done either) the improvement of any health condition. But if we assume that the effects of C60-EVOO are based on its unique antioxidant properties, no such improvement can reasonably be expected. Some people say they had massive improvements in this or that ailment after taking the product but I think that may be the Placebo Effect. C60 in olive oil does not cure disease but it GREATLY slows down the ravages of aging and seems to completely prevent at least some forms of cancer, the cancer risk that increases with age and for that alone it should cost $1500 per bottle, since no other substance ever investigated on Earth does anything of the sort. I as well as others here I'm sure appreciate the clarity you have brought by listing the 3 points outlining what C60 has been proven to do in rats. It's true the hype used by scammers has made it a bit more complicated to separate what C60 may or may not do. Although you raise a very interesting point without at all lowing yourself to these self serving scammers level. That point I take away is that C60 may very well slow down the aging process and may not be a cure all. That being said, it is quite possible that C60 reduces the chance of cancer and tumors that lead to cancers in rats. These facts alone are enough for me to get excited about using C60 which lets face it is rather unproven and untested in the long term on humans. Your integrity shines through. May you one day be openly recognized and applauded for you straightforward truthful approach. I find your candor refreshing as well as your obvious commitment to the proven chemical properties in rats and possible medical interactions in humans of C60. In C60 there at least is the chance of possible help in resolving what for everyone is a real fear which is to leave this life with a debilitating long term illness like cancer that takes us and our family on a protracted mental and financially draining departure. we would not be here looking for options if we believed in big pharma. I feel they would never allow a cure for cancer for their obvious reasons. I will be ingesting C60 for the foreseeable future as well as monitoring some of my bodies reactions and natural degeneration, hoping for the best. I will also be following your site as well as others to find out if there are further developments. I find even the possible placebo positive effect a thing in the positive column as the power of the human mind is another frontier yet to be understood. Waiting patiently here in Panama for my initial shipment which I will be sharing with a dear friend who now is thanks to you getting up to speed. I'm assuming we emailed you the tracking number and I hope it's traceable in Panama. We never shipped to there so it's advisable to keep an eye on things. Yes I was emailed a tracking number that was being sent to my Florida address. From FL the package will be forwarded to me here in the high mountains in the northern most reaches of Panama a stones throw from southern Costa Rica. I feel more people like myself need to hear your honest non sales pitch orientated explanation as to what C60 does and does not do. For me this information offered clarity from you who I have found refreshingly upfront and to the point, not at all some of the hype type that surrounds this powerful C60 discovery.Im ingesting your superior and much less costly product with the clear conviction that Vaughter Wellness provides me with the best quality C60 available at a very minimal cost. I found your explanation so powerful and truthful I am copying some of your previous post. Thank you again for all the effort and financial commitment it takes to tell and promote the real story and hopefully reap enough benefits to carry on! "1. GREATLY slow down the effects of aging, likely due to a near-complete cessation of free radical damage (ROS species). Some people say they had massive improvements in this or that ailment after taking the product but I think that may be the Placebo Effect. C60 in olive oil does not cure disease but it GREATLY slows down the ravages of aging and seems to completely prevent at least some forms of cancer, the cancer risk that increases with age and for that alone it should cost $1500 per bottle"
For clarity for other readers, I want to stress again that "prevention of formation of tumors" does not mean "curing Cancer". No such tests have been done on those rats and I deem it highly unlikely that the product can shrink tumors because the effect lies in PREVENTING DNA damage caused by free radicals. Those Wistar rats normally die around their 3rd year of either pneumonia or tumors, and no rat died of tumors or pneumonia but they reached a lifespan of 5-6 years and died of generalized wearing out of their organs. Sarah, I say Bravo! More evidence that higher individual character is better found in Europe than here in the US. It's very likely he derived his AKA from a street name called 'High Cliff Court'. His Canadian accent points to Rothesay. His deceiving skills are so extreme that can only be found in the Khazar tribes. 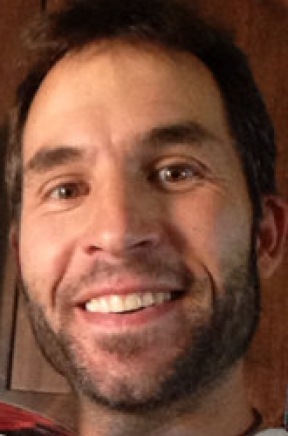 Stay clear from this man and share this info everywhere. Hello, Most recently on this USA website purec60oliveoil.com they have a claim in on their website:: "Carbon 60 Fullerene Powder Out Of Stock Globally! Selling Final Stock! Limited Quantity Available". I am asking if you all at Vaughter Wellness think this is a scam to get people to buy up their stock thinking they can't get it anymore? Isn't this "powder" what the c60 is made from? BTW I have not bought their c60 and only buy Fullerene c60 from Vaughter. I have been taking it since last year, I think Oct of 2017. I will say that I have noticed that when on rare occasion I take more than usual (like 1tsp as opposed of 1/2 tsp) then I cannot sleep as well and am wide awake in the middle of the night. Since I never have had trouble sleeping unless I am sick or something like that, I found this pattern to be unusual, but definitely related to taking more of the c60 than usual. Also I do not have headaches anymore like I used to. At all. I'm just saying.. Yes, that is a scam - C60 is available from a plethora of manufacturers and pure60oliveoil.com are untrustworthy. They plagiarized the design of our labels, for example and much of what they claim on their website are provable falsehoods. I'm not saying this to persuade to buy from us instead - in fact there are one or two trustworthy US-based vendors you could buy from, I'm just saying that pure60oliveoil.com are scammers and liars and I do not think their product is what they claim it is. Btw, I can't help but post this just in from C60 Sunflower Oil Maker Bob Greska. Maybe you ought to start a new heading just for him because I think you will enjoy reading all this "science" and commenting on it. 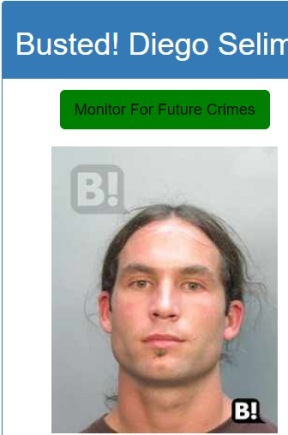 Hopefully Mr. Greska ends up in prison, where he belongs. I was interested in C60 and started to do some research, when I came across your website, article and warnings. I'm grateful and disappointed at the same time. There are many people with a huge need and barely can afford supplements. It's heartbreaking that they are being scammed, especially if their lives are at stake. I personally do not care for Mr High, my scamdar, snake oil salesmen, was on alert the moment I heard him talking to Richard Dolan. Sadly I've lost all respect for Richard, he's going to the bottom of the barrel for interviews. I guess I've got more research to do. What is your opinion about c60 purple power? You're commenting on an article, detailing my opinion on Purple Power. Personally, I do not have a problem with using a different oil as long as 1)- is completely dissolved the C60 and allows it to remain suspended while still in the bottle. 2)- The oil is healthy or at least not harmful. I would not use GMO oils or Canola for example. Having taken Coconut Oil for its health properties, I would not have a problem with using it. After all, it is not the Oil that delivered the benefits in the rat trials, as the Olive Oil only rats showed MUCH fewer health benefits than the Oil + C60. But your points on the "marketing" of C60 by others are well taken. Preventatives do not have "results" as one cannot prove something did not happen. But, being a super antioxidant, it is reasonable to project that it can prevent dis-ease. Personally, since toxins and metals tend to effect Hydro-Carbon chains in living tissue, the "bait" of pure Carbon atoms in the C60 structure seems to have the potential of being a better place to bond (than thus be removed when excreated) than living hydro-carbons. But that is a hypothetical projection, and cannot be presented as an actual effect. You would have to show the measured depletion of a toxin or metal infested bio-entity to make the claim, which no one has (to date). The rat tests DID clear demonstrate a healthier, long life in the test subjects. Your argument that it does not matter what oil is used, as long as it's healthy oil, is invalid because we're not talking about oil molecules separate from C60 molecules here - so we're not talking about C60 dissolved in oil. That's not what we sell. We sell Lipofullerene C60 molecules, and then the exact properties of the lipid chains used may be of vital importance. Their length, their chemical properties - we have no idea which lipid chains exactly, chemically bound to the C60, cause the benefits and why. Certain lipid chains may be able to bind to the cell wall, certain others may be able to penetrate the cell wall and reach the Mitochondria - we have no idea - all we know is that the lipids found in Extra Virgin Olive Oil do this. Olive oil is chemically unique. You're making giant assumptions, when assuming that lipid chain A, with C60 molecules attached to it, will bring identical benefits as a totally different lipid chain B - never tested in the lab for longevity. Again, it's not the oil we care about - it's the Lipofullerene molecule's molecular weight, polar behavior, chemical and physical properties etc. EVOO lipofullerene C60 molecules behave differently than any other oil's Lipofullerene C60 molecules becasue they are not the same molecules. So your reasoning is fatally flawed and when you use any other oil than EVOO, you run the risk of not benefiting for the proven EVOO-C60 longevity. So the resulting Lipofullerene C60 molecules (again: it's NOT C60 DISSOLVED in an oil, it's an entirely new MOLECULE!) are completely different, with Coconut oil, than with Olive oil. It's like substituting Sulphuric acid for Hydrochloric acid when pouring it over Sodium and expecting the same resulr, because "It's the Sodium we care about and both are acids". The former yields Sodium Sulphate and the latter Sodium Hydroxide. The lipids in vegetable oils (incidentally also (fatty) acids) are of totally different chemical behavior and you can't just bind a molecule to a different acid and expect the same result, in Chemistry. The lipid is the vehicle to bring the C60 to the biological site of action an hold it there. Whether that lipid is mono-, poly- or fully-saturated is EXTREMELY relevant, biologically speaking, for its mode of action. You claim that this does not matter and that you can substitute different classes of fatty acids, without there being any scientific evidence that your claim is correct. As I remember the study, they did not choose Olive Oil for the fat binding reasons you outlined. It was something (safe) to dissolve (suspend) the C60 in which is also positively received by the cells. Or at least, I do not remember the Olive Oil/C60 "new molecule" discussed. I can understand the conservative scientific desire to stick strictly to mimic the study. I can also understand the desire to expand the experiment. >"As I remember the study, they did not choose Olive Oil for the fat binding reasons you outlined." You remember wrong. I'd read the study if I were you, instead of relying on the hype of unethical sellers. >"It was something (safe) to dissolve (suspend) the C60 in which is also positively received by the cells." It was Algerian Organic Extra Virgin Olive Oil from the village of one of the principal authors of the study. 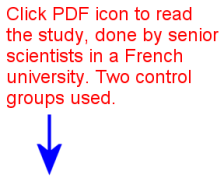 Read the study. >"Or at least, I do not remember the Olive Oil/C60 "new molecule" discussed." It's described, also mainly by Chemistry Ph.D.'s on Longecity etc. but also by the study's authors, that completely new molecules are formed, called Lipofullerenes. They even went as far as creating 3-dimensional models of these molecules, and we went out of our way to SHOW these models - they're on every page of this site, on the left-hand side. You think we made that up? Or you think C60 "dissolves" in oil? It does not. It forms a MOLECULAR BOND with the lipid molecules. DISSOLVING is ionic BREAKUP into sub-parts, BINDING is SYNTHESIS - a NEW molecule is formed. >"I can understand the conservative scientific desire to stick strictly to mimic the study." Yes. Because say there is only one study that says Gold is valuable. And say you have 1000 dollars. Are you going to spend it all on Bronze or Copper because it looks similar and the seller tells you "buy this!". The risk of doing so is enormous. As is gambling your possible extra longevity on the claims of unethical sellers. The sellers who use different oils, ALSO lie about the benefits of C60-EVOO. And they use different oils because they have the commercial need to distinguish themselves, to capture a part of the market or simply because real EVOO is very expensive and hard to obtain, unadulterated. Or because C60 dissolves easier in other oils. Or simply because they have no idea what they're doing because Chemistry is not their strong suit - who can blame a "make money online marketeer" - and don't know that they're creating Lipofullerene molecules instead of "dissolving C60 into oil". >"I can also understand the desire to expand the experiment." Well, set up your own experiment with rats and a lipofullerene that does not involve EVOO but another oil that's totally chemically different and let us know, some years from now, how things went. I am not a scientist so my question will be described to the best of my ability in understanding the subject. The C60 Purple Power Scientist claims that when we are over 50 years of age 50% of our cells are composed of senescent cells and that c60 "brings them back to life" but not enough to function well in which case apoptosis takes place. This results in a message to the stem cells that new cells can be produced. This is an enormous claim. 1. The claim of C60 Purple Power "having a scientist" is false. 2. The claim "when we are over 50 years of age 50% of our cells are composed of senescent cells" is false. 3. The claim: "c60 "brings them back to life" is false. 4. The claim: "but not enough to function well in which case apoptosis takes place. This results in a message to the stem cells that new cells can be produced." is false. Remember: The burden of proof is ALWAYS on the one making the claim, NEVER on those demanding evidence for claims, since it is impossible to prove a negative. Therefore, all four claims above need to be proven in order to be believed, and I am asking for proof before I believe them. Sara Vaughter, I love you! Haha. I'm so grateful for reading your and everyone else comments. I really want to start taking this product and wasnt sure which company to buy from but now I know. Looking forward to purchasing many bottles from Vaughter Wellness. Thank you for speaking the truth and for breaking it down for everyone in a beautiful and logical way.